C.A.R.E. Nevis Animal Society runs the only animal shelter in the twin island Federation of St. Kitts and Nevis. (The ‘CARE’ in the name is an acronym for Centre for Animal Rehabilitation and Education.) It is a small nonprofit organization with a big heart, wholly reliant on the support of animal lovers worldwide. CARE’s program ‘CARE in the Community’ practices three different aspects of animal welfare: Rescue, Rehabilitate and Re-home. Rescue: The organization rescues abandoned, homeless, starving dogs, running scared and alone. CARE gives these animals a second chance at life and love while working in a 20 dog facility, one of the smallest ‘No Kill’ shelters in the world. Rehabilitation: This practice includes healing the animals’ fears of human abuse, neglect and physical torture. As a result, the animals can become healthy and happy so that they are able to enter into foster and adoption programs. Re-home: After rehabilitation, the animals are then placed into happy homes. CARE’s nascent Humane Education program involves school and classroom visits to their shelter to teach children about pet care and the 5 basics of ensuring the well-being of any animal in their care. The CARE Nevis Medical Fund is a very important part of the organization’s community programs. This fund covers the medical expenses of the animals they rescue as well as footing the bills for families who cannot afford to pay the costs of bringing their pet back to full health. Within their Medical Fund, CARE promotes spay/neuter procedures for all companion animals. Since CARE was founded in 2010, it has worked very hard at being an inclusive nonprofit, reaching out to local people to educate and give advice on animal welfare. For example, the organization offers Pet Taxi services to those without transportation to reach the local veterinary office, flea and tick treatments, vaccinations and as mentioned free spay/neuter procedures. One of CARE’s biggest challenges is to convince local dog and cat owners that in order to alleviate the problem with strays they must consider ‘fixing’ their companion animals. Recently, CARE launched a campaign named “The BIG Fix!” The challenge to reduce the number of strays is hindered by the fact that the local veterinary facility only offers a spay clinic one morning a week for a maximum of 8 dogs and a few cats. As a short term solution, CARE will partner with World Vets in March 2014 to implement a mass spay/neuter program in hopes of reaching their goal to fix at least 300 pets. With World Vets’ help, they can perform up to 100 surgeries per day during a 3 day field clinic at no cost to local pet owners. On a longer term plan, CARE is embarking upon its biggest challenge to date. It has identified an urgent need to improve the access of all small animals to modern veterinary medicine on Nevis Island. CARE will be building a new community practice veterinary clinic specialising in companion animals. As many pet owners on Nevis do not have their own transport we will purchase a vehicle fitted out as a pet ambulance / pet taxi service which will radically change the accessibility, quality and range of treatments available to all small animals on the island. The clinic will contain a fully equipped surgery able to provide spay/neuter and other surgeries, x-rays, blood analysis, vaccinations and general wellness pet care with low cost subsidized treatments for families in need. 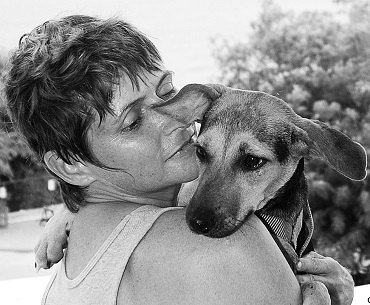 As the only animal shelter on St. Kitts and Nevis, CARE Nevis Animal Society works extremely hard to rescue and provide a safe haven for all animals on the island. With CAF America’s help and with the help of donations, CARE Nevis will grow even further and successfully reach its goals. For more information, you may visit http://carenevis.org. Photo provided by CARE Nevis.